After “extensive consultation “with the Historic Buildings Advisory Committee, Minister of Home Affairs Michael Fahy has proposed that Somerset Bridge be designated a Historic Monument Listed Building, and that Southlands Cottage in Warwick be designated a ‘Grade 2’ or Listed Building. According to the Minister, such structures are integral to both the Island’s history and to its cultural tourism. Alterations should normally be avoided and restoration should be on a like-for-like basis. 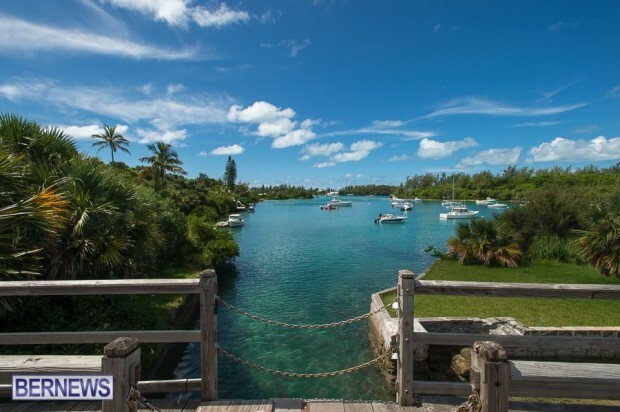 Today Minister Fahy said, “Without a doubt, Somerset Bridge is an iconic structure in Bermuda and has the singular distinction as being known as the smallest drawbridge in the world. Additionally, the Minister has proposed that Southlands Cottage in Warwick, part of the Southlands property, be designated a ‘Grade 2’ or Listed Building. The original building, with its U-shaped hip roof may date to the late 18th century. ‘Grade 2’ refers to buildings, structures or groups of buildings that are of such special interest and architectural or historical value that alterations and additions should be limited to works that do not impinge on those parts of the building to be protected and preserved. Such works should normally be carried out in the structural and decorative style of the existing buildings. Minister Fahy continued, “The Ministry of Home Affairs believes that the many examples of traditional Bermudian architecture seen in Southlands Cottage are worth preserving for future generations. The Department of Parks nominated Southlands Cottage for the designation, which would become the Visitor’s Centre for the Southlands property once it becomes a National Park, while Sandys Parish Council nominated Somerset Bridge. The Minister’s decision to proceed with this listing designation under Section 30 of the Development and Planning Act 1974 allows for a public consultation period, ending Wednesday 31st December. Any comments may be sent to the Permanent Secretary (Home Affairs), c/o Forward Planning, Department of Planning, Dame Lois Browne-Evans Building, 5th Floor, 58 Court Street, Hamilton, HM 12. Upon the conclusion of the public consultation period, the Minister will make his final decision on the listing designation. A bridge over the Sandys Narrows between the Main Island and Somerset Island may have been built as early as the 1640s but one certainly appeared on the 1663 Richard Norwood Map. While there have been several bridges built over the channel, the current bridge was extensively rebuilt in 1960, after the supports partially gave way. A decision was taken to both strengthen and widen the bridge, but a plan to replace it with a steel and reinforced concrete structure was dismissed by the Legislature, owing to its iconic status to the island’s tourism brand. The current bridge design is based on the historic bridge it replaced. During its construction in 1960, a temporary bridge connecting Somerset Island to Main Island was erected alongside. The bridge’s centre planks can be raised to allow the passage of a sailboat’s mast. Somerset Bridge has been imortalised on the back of Bermuda’s $5 note. The original building, with its U-shaped hip roof may date to the late 18th century. Many of the additions to the main house were added during the 1920s, 1930s and 1940s. The earliest documented owner is Thomas Dunscomb and it was rented to William Astwood of Southampton around 1812 and later to Rev. James Morrison who operated a school at Southlands from 1839-1849. James Morgan purchased the property in 1913 but in 1936 the house and land were sold to American Grace Metzger Torrey. Brigadier Harry Dunbar Maconochie bought the property in 1946 and in 1990 it was acquired by the Willowbank Foundation. Now the property is owned by the Bermuda Government and the Parks Department is currently developing a management plan for the house and the beautiful gardens. They better hurry up and develop a plan, years after govt. takeover the houses are all derelict, many with large ficus and even casuarinas busting up walls and roofs. The whole property including large gardens full of bush is being neglected completely. Let people farm the multiple gardens going to waste. Who opens the center planks when I want to navigate. The whole bleedy island is historic. Knock all the old trash down and move on. Smallest draw bridge in the world! Wohoo. I’m sure that attracts millions of visitors a year. You sound like a bitter, cranky person! Somerset Bridge underwent an extensive rebuild in 1992 or 1993. What was supposed to take 6 months extended to well over a year. The wooden supports under the bridge were replaced with reinforced concrete. No attempt was ever made to make it look original by facing the concrete with wood. The opening itself has been covered & effectively nailed shut for who knows how many years. It is certainly NOT a working drawbridge as we like to claim. Add Southlands to a very long list of Government owned neglected structures across the Island. For example, take a look at the base commanders house at the Naval Annex or the 2nd in commands house, an old Bermuda style not far from it left to crumble. How about the huge water catch at the Annex which was functioning when the base was handed over? There is another huge one at the NAS left for the casaurinas to take over. Millions in assets have been lost due to neglect. Such an abuse of one of our major, global historical landmarks is negligent to say the least. I am astounded that such a thoughtless rebuild occurred in the nineties, never mind that Somerset Bridge is still not a listed monument today! I went around Morgan’s point 2hrs ago… it looked like somthing off the discovery channel. .. off what the world would look like without humans in 25 yrs…. I am utterly amazed that Somerset Bridge isn’t already a listed historical monument!